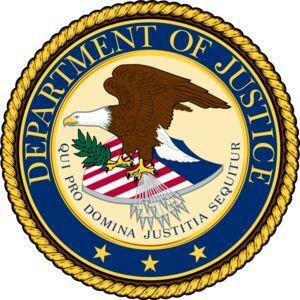 The U.S. Attorney’s Office says that a federal grand jury has returned a six count indictment charging former NYS Assemblyman Joe Errigo, 79, and lobbyist Robert Scott Gaddy, 48, with conspiracy, receiving a bribe concerning programs receiving federal funds, honest services wire fraud and using a facility in interstate commerce to carry on and facilitate unlawful activity. Both men face the four charges in the indictment. Gaddy faces two additional charges, accused of agreeing to pay a bribe concerning programs receiving federal funds and offering and paying a bribe concerning programs receiving federal funds. According to this indictment and the federal complaint that was filed last fall, federal prosecutors say the FBI identified potential corrupt acts by Gaddy and various public officials. As a result, the FBI began investigating the relationship between Gaddy and Errigo. The FBI arranged for someone they were working with to approach Gaddy about paying a bribe to someone described as ‘Member A,’ a legislator other than Errigo, in order to introduce certain legislation. It is alleged that that the individual working with the FBI paid Errigo and Gaddy a total of $10,500 to obtain the introduction of proposed legislation in the NYS Assembly. Gaddy was arraigned on Monday and released on certain conditions. Errigo will be arraigned on Wednesday.